TORREON, Mexico—His grandfather was the cross-eyed cousin of Mexico's legendary revolutionary Francisco "Pancho" Villa. Like his famous ancestor, Carlos Villa is a hard-charging general who is charismatic, foulmouthed and not afraid to use his gun. And some say he is just what Mexico needs as it wrestles with the corruption and violence spawned by the country's powerful gangs of drug traffickers. 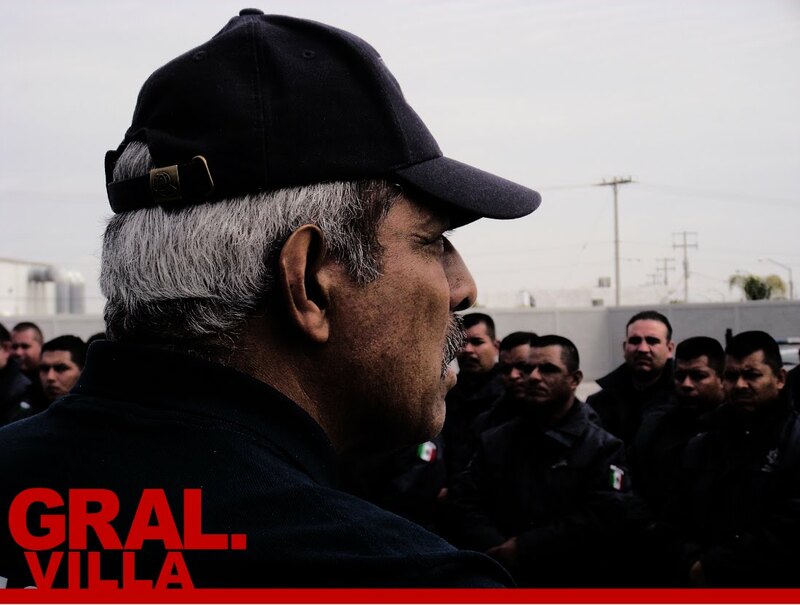 Retired Gen. Villa is the 61-year-old police chief in Torreon, an industrial city in Mexico's violent northern badlands—a central drug-running route currently being fought over by two of Mexico's biggest cartels. Since taking over as the city's top police officer in January, Mr. Villa has battled not only the city's drug lords, but also his own police force, which was on the payroll of a powerful cartel. In March, nearly the entire force walked off the job to demand the general's ouster. The mayor faced a choice: Fire nearly every officer and leave the city at the mercy of drug gangs, or dump the general and keep corrupt police on the street. He fired the officers. "It was the best decision I ever made," says Mayor Eduardo Olmos. "It's not that our cops weren't fighting the bad guys—they were the bad guys." Crime nearly tripled in Torreon during a summer that saw some of Mexico's bloodiest drug-related crimes, including the massacre by gunmen of 17 civilians at a party in August. But the mayor and his soldier-turned-police chief are building a new force and seeing some success against crime. "He's the best police chief we've had," says Father Jose Rodriguez, a 73-year-old Torreon priest. "The Bible says you shall know them by their works, and I know the general from his works." Mr. Villa's effort to remake the Torreon force holds implications for how Mexico tries to quell the drug-related violence that has claimed more than 31,000 lives since President Felipe Calderon took power in December 2006. Until now, Mr. Calderon's strategy has focused on using federal forces to fight the cartels, including the army and a new federal police. But the strategy has been missing a key piece: local police. There are only about 30,000 federal police and about 45,000 troops deployed on cartels. There are some 240,000 municipal police—but they are widely deemed corrupt and unreliable. "Local cops are the tip of the spear," says a top DEA agent posted in Mexico. "In the U.S., we'd struggle to do anything without our partners in local law enforcement." Until the mid-1990s, Mexico spent just 0.008% of annual economic output on law enforcement, among the lowest rates in the world. The average officer earns $500 a month, or about half the average per-capita income in Mexico. Seven of 10 finished only primary school. More than 400 municipalities have no local police at all. In city after city, local police are a proxy army for cartels—acting as lookouts, killing rivals, even helping fight federal forces. Efforts to clean up local police have met bloody resistance from the cartels. The new mayor of Santiago, an upscale colonial town near Monterrey, was kidnapped, tortured and executed by members of his own police this summer after he had pledged to clean up local police. Mr. Calderon's government now realizes its offensive will stall without revamping the local police. It recently proposed eliminating all municipal forces and having 32 state forces, one for each state. "The day we have 32 police forces that are well-paid, well-trained and loyal, we will turn the page in our fight against organized crime," Mr. Calderon said recently. Mexico's local police are often so corrupt that trying to clean them up slowly may never work. The experience of Torreon shows a radical approach: scrap and start over. Torreon is a city of half a million that sits in a valley, with a river that separates the states of Durango and Coahuila. 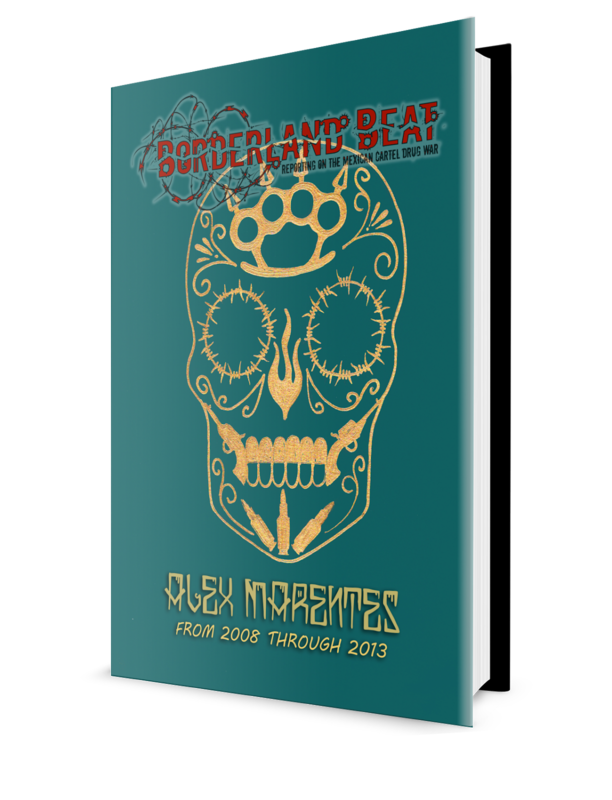 In 2007, the Zetas, one of Mexico's cartels, arrived to challenge the Sinaloa Cartel. A turf war erupted. The Zetas set up in Torreon by infiltrating the police. 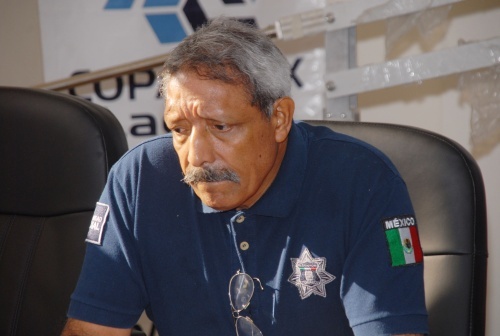 Last year, the former Torreon police chief found a payroll with a list of officers in the pay of the Zetas. What surprised investigators was how little it cost to bribe the officers: beat police got an extra $10 a week; commanders got $30 to $45. 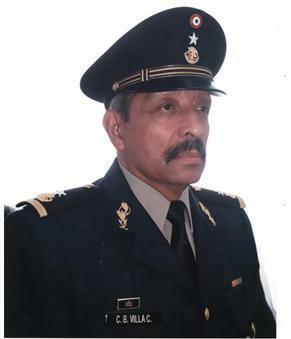 One commander, Mario Ortiz Fernandez, resigned from the police after five years in 2008 and joined the Zetas, according to police records. Nicknamed "The Shadow," he rose to the top spot in the gang by late last year, police say. Mr. Ortiz Fernandez's bar—called "Bar Ferrie," after his second surname—was shot up by Sinaloa gunmen on Jan. 31, killing 10 civilians. The Shadow was captured in May by federal forces. His job as the top local Zeta was taken by another former Torreon officer, according to police and intelligence officials. In 2008, two federal policemen busted a Torreon officer in possession of cocaine and marijuana. Hours later, more than three dozen municipal police turned up at the federal police building with guns to try rescuing their colleague. One Torreon officer was killed and 34 arrested. Successive police chiefs tried to clean house. In June 2009, some 302 police—nearly half the force—were fired for corruption by former police chief Karlo Castillo, a federal police commander, who took over in 2008. Mr. Castillo was attacked twice on the job in failed hits believed to have been orchestrated by men under his command. He ended his term Dec. 31. The following day, Mr. Villa took over. Born in neighboring Durango, the general is the penultimate son of a man with 36 children. He has a master's degree in military communications, wears SWAT boots and packs an Israeli-made Magnum .45 strapped to his thigh. Locals call him Rambo. The general says his grandfather was named Jesus Arango, the first cousin of Pancho Villa, whose real name was Jose Doroteo Arango. There is no bigger legend in Torreon than Pancho Villa, whose raid of the city was a turning point in the Mexican revolution. Mr. Villa cultivates the connection. He answers his phone, "General Villa, at your orders." In the 1970s, he participated in Operation Condor to destroy marijuana and opium plantations. There he met Guillermo Galvan, now defense minister. In early 2009, Mr. Villa turned 60, retirement age for a brigadier general. Four months later, he was lying on the beach in Mazatlan when his phone rang. "Get down here, you lazy goat. Galvan wants to see you." It was a fellow general calling on behalf of the defense minister. Days later, Mr. Villa met Mr. Galvan, who convinced him to try his hand as a police chief in Coahuila, a state that borders Texas. 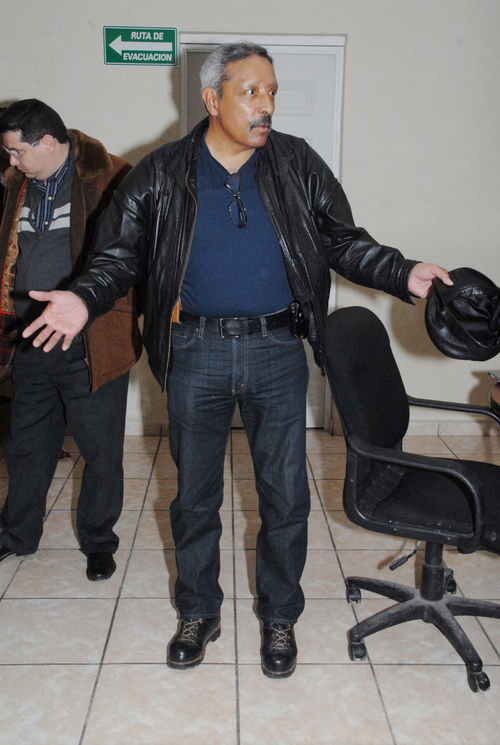 Coahuila has basically given up on having civilian police chiefs. It has 16 generals in charge of police forces. Mr. Villa started his new career as police chief in the town of Parras. 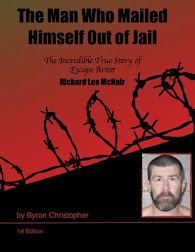 Soon, he discovered seven of his officers were involved in a kidnapping ring. He had them jailed. Within three months, 56 of the original 80 police had been fired. "I couldn't believe it. They were practically all corrupt," he says. "But those corrupt cops were amateurs. The real pros were here, in Torreon." Mr. Villa took over as Torreon's top officer on the same day as the incoming mayor, Mr. Olmos. Within days, the general got a taste of what his new force was like. One policeman, driving drunk, hit a father and his little girl as they crossed the street, killing both. Days later, another drunken policeman ran over and killed a woman—and fled the scene. The general ordered that officers take a breath test before and after their shifts. A month after he took over, police videos taped seven Torreon police cars escorting Zeta gunmen. The general fired the officers. By early March, some 108 officers out of a force of 700 had been fired. The general started to impose strict discipline. Anyone late to work was sent home without pay. Cellphones were banned, because police were using them to alert the Zetas of army patrols. The general told residents to report crimes to his own cellphone because the city's emergency number was being used by crooked police to retaliate against Good Samaritans. Tensions rose. One officer openly talked about killing the general, witnesses say. On March 13, the majority of police on the force walked off the job to demand better working conditions and Mr. Villa's resignation. As the officers staged a sit-in outside City Hall, luxury cars with tinted windows pulled up to deliver steaks and whisky, witnesses say. Local reporters were ordered by the Zetas to give favorable coverage to the strike, say several reporters. A delegation of police met the mayor at his office. "It was like a bad Tarantino movie," says the mayor. "These were the scariest looking guys you've ever seen, and they were our city police." In five hours of negotiations, the mayor agreed to all of their demands except for firing the general. Finally, one senior officer told the mayor the police didn't really care about concessions. They wanted the general gone. "Just agree to change his bodyguards and we'll take care of the rest," the policeman said, according to the mayor. The mayor refused. "They wanted me to agree to have him killed," he says, shaking his head at the memory. That night, he signed the order to fire 600 officers, nearly the entire force. The next morning, the state governor called Mr. Olmos and congratulated him. He has also sent him a present: an armored Suburban and eight bodyguards. The chief lives under siege. Two of his bodyguards disappeared in the months after the strike; another was seized from his home, tortured and executed. His head was placed in front of the police station. Thanks to the army, the general now has a contingent of 60 former or active-duty soldiers. None are from Torreon. They live in the police headquarters, venturing into the city only on patrol. The general lives in a single room next to his office, with a mattress, an exercise machine and a pet boxer named Chata. For most of the soldiers, this has been their first time in a police force. "I couldn't believe the lack of discipline," said Lt. Francisco Naranjo. After the strike, Mr. Villa was left with about 80 police from a force of 700, mostly older officers near retirement. He and his troops went on patrol several times a day and night, often taking on traffickers. "I've seen more action now than in my entire career in the army," he says. The police chief and mayor also set about recruiting new police. Results were mixed. One applicant had just gotten out of jail for murder. A psychologist was hired to evaluate recruits. "Most applicants were completely unfit. They had all kinds of psychological issues, including narcissism and delusions of grandeur," says Bismark Soriano, a 26-year-old psychologist. But then a different type of person started coming through. Hortencia Ovalle, a 36-year-old housewife, heard a radio report about the general and signed up. "I wanted to be a part of something bigger for my city," she says. A challenge will be keeping new recruits honest. Across Mexico, cartels spend an estimated $100 million a year bribing police, according to the federal government. One new tactic: buy a home for all beat officers. If a police officer stays 15 years on the force with no issues of corruption, they get the home free. "It's a way to get the wives of the cops to make sure their husbands stay on the straight and narrow," says the mayor. The city raised salaries for police from an average of $570 a month to about $800—which puts Torreon in the top five best-paid police forces in the country. Police are also getting scholarships for their children at private schools. After the March strike, the city offered to give back jobs to any officer who wanted to return—to help police who were pressured to go on strike. But to win re-entry, police had to undergo a lie-detector exam, psychological profile and physical-fitness tests. Some 300 of the 600 fired police reapplied. Only one—41-year-old Raquel Estrada—passed all the tests. "Meet our only honest cop," Mr. Villa said, chuckling on a recent day, introducing Ms. Estrada. Around town, Gen. Villa is viewed with a mix of admiration and trepidation. A new neighborhood watch program is starting to produce results. Crime is starting to fall after the summer peak—but is still well above last year's levels. metales la riata mi general! Whoo whoo! That's what mexico needs! Hechen le ganas todos! Juntos pueden parar el crimen!!! Pero solo juntos! Que dios bendiga y ayude al general y la policia, those who are honest, trust worthy and truely hardworking. Estamos a su lado mi general. And if all stay the course, it will continue to fall and the people of the city will reap the benefits. A sense of safety is paramount to businesses and local institutions like schools and hospitals. When people feel safe enough to report crime and watch their neighborhoods, the criminals will be on the run. They only feel confident when they are in control. Now they no longer are. If the children feel like they can grow up in a safe environment, they will respect the law and despise the criminals instead of idolize them. This will give them hope and a future. That's what the freedom from fear offers this city. What a huge reward for the value of honesty. If i lived there, I would apply to be a police officer to protect my city and secure its future. Check out this video. A former Torreon police officer being interrogated. He worked for the Zetas. there are some men who are cut out for this job. im rooting for gen. villa and i give props to the mayor eduardo olmos. thats the way to do it. fire the bad guys and clean up. but be careful gen. villa. these guys are unemployed now and pissed off. they will attack soon. not an easy job. i remember in juarez, they had just named a new police chief who claimed that he would take on the cartels. it really seemed like his intentions were righteous and in the first week of his position they shot him to death. he and his partner made the front cover of the pm newspaper with a big front page picture of his brains blown out while sitting in his patrol vehicle. it was a nasty final picture to be remembered by. i really hope that this guy does'nt end up the same way. LIKE THE PABLO ESCOBAR SAID...."Everyone has a price, the important thing is to find out what it is. "...........anybody can be bought. Could it be I'm falling in love? A man with ethics and values! Echale guerra a esos pinches Z mi general! Great story, it seems like this guy has some across a blueprint that should be followed to bring law and order to the rest of Northern Mexico. The mayor and the chief are making a huge difference because they give real incentives for honesty. Better wages, but overall it's this idea of giving a house after 15 years of ethical service and free education for the kids. With this carrot, you can imagine that each cop is now under the close watch of a super-cop: the spouse. This 2 guys have talent. I want to believe that the General is for real. If so, God, please protect him from the criminals and his own people, that can end setting him up for a few coins.